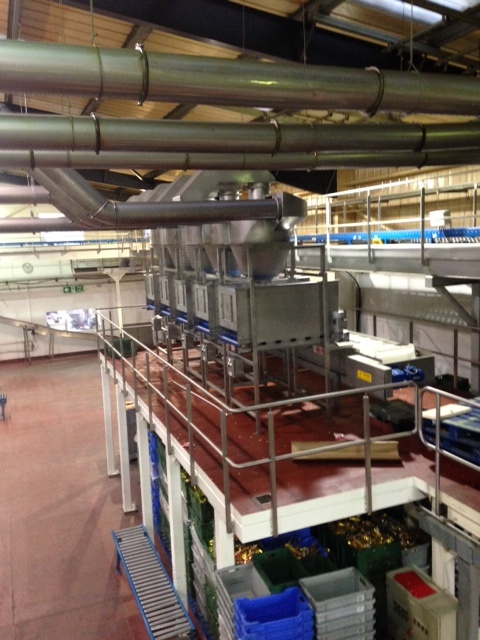 Fabcon Food Systems Ltd manufactures and supplies bespoke handling and process solutions to the food industry. Our wealth of knowledge, experience and production facilities gives us the ability to supply quality British built machinery at competitive prices. With technical, sales and engineering staff having many years of experience in the industry, allied with the ongoing release of innovative products, our technologies continue to enhance the performance of process and packaging lines. We design, manufacture, install and service complete systems for a wide range of products from initial concept to final execution, providing processors with ideal solutions for processing, product handling, sorting, precision flavouring, weighing and packing. In fact, a complete food handling and process solution from intake to final product packaging, the bywords being gentle product handling, energy savings, reliability, high accuracy, ease of cleaning/accessibility and low maintenance. We have a growing network of agents across our sales region, which now stretches across most parts of Europe and as far as Africa and the Middle East.